Cricket Victoria has received the sad news that former Victorian player John Shaw passed away on 5 August, aged 85. A nephew of the great Lindsay Hassett, John Shaw was a fine right-handed batsman and a brilliant catcher close to the wicket. Like his uncle, John was born in Geelong and played for South Melbourne. He played 156 matches for the Swans between 1949-50 and 1967-68, scoring 5,434 runs at 37.47 with 6 centuries and 36 half-centuries and a highest score of 133 and also took 81 catches. Shaw was a member of South Melbourne's premiership teams of 1952-53 and 1967-68. He also topped the VCA batting averages in 1952-53 (538 runs at 59.77) and 1955-56 (458 at 76.33). 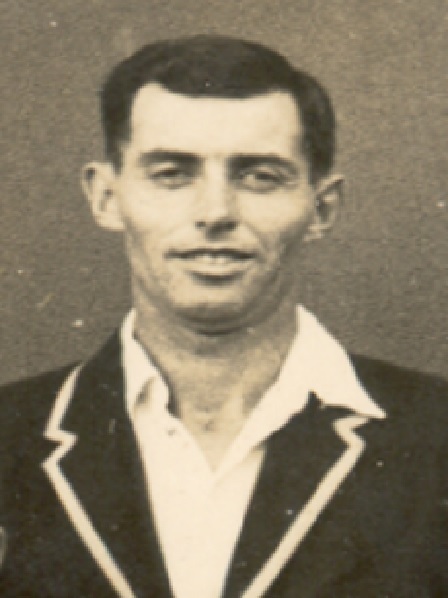 Shaw played 48 first class matches for Victoria from 1953-54 to 1960-61, scoring 2,942 runs at 41.43, with 3 centuries and 23 half-centuries and taking 33 catches. His best season was 1957-58 when he scored 751 runs at 62.58, which included his highest first class score of 167 against NSW at Sydney. He also toured New Zealand in 1959-60 with an Australian team captained by Ian Craig, scoring 203 runs at 29.00 in the four unofficial "Tests". Shaw scored 120 in the first tour match against Auckland at Eden Park. CV extends sincere condolences to the Shaw family, and to the Casey-South Melbourne Cricket Club.